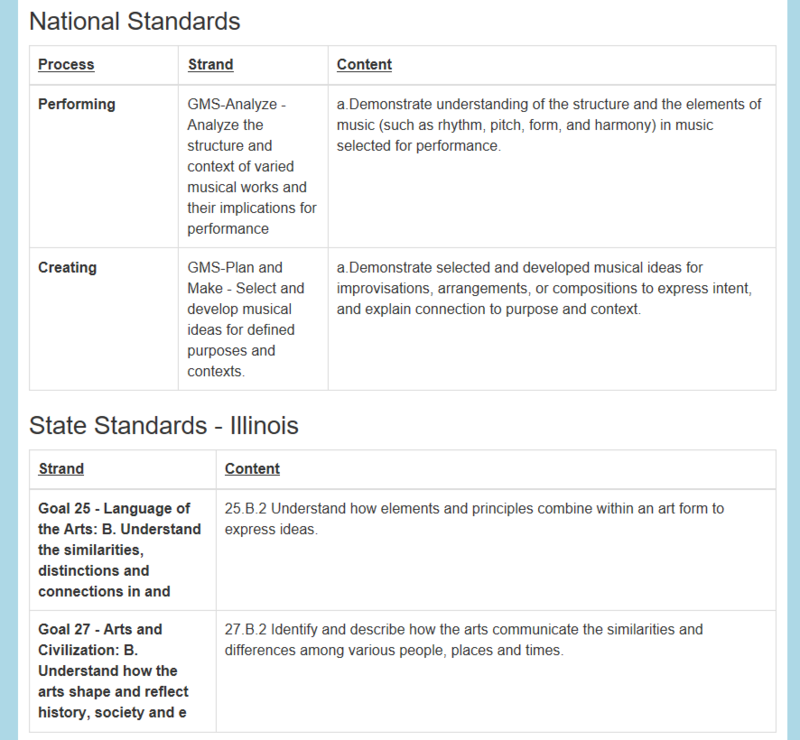 Unison.School's lesson planner now includes the option to select your state standards from a dropdown menu! This is in addition to National Standards, musical elements, and media. If you don't see your state below, or you think your state's standards are out of date or incomplete, email tim@cedarrivertech.com.